Prominent & Leading Manufacturer from Hyderabad, we offer epdm tyton gasket, di pipe gasket, pvc pipe rubber gasket, ring fit gasket for pvc pipe, coupling rubber gasket and di pipe gaskets. Packaging Size HPDE Bag 26"
Sandhya Enterprises is a Manufacturer and Supplier of EPDM Tyton Gasket. Size : 80mm ID to 1000mm ID. 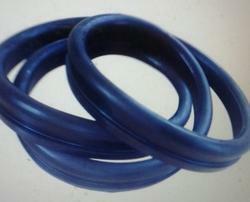 Sandhya Enterprises s a Manufacturer and Supplier of Rubber Gaskets. 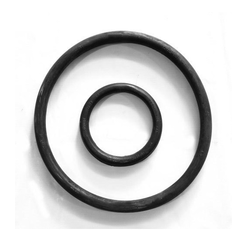 Manufacturer of Quality Rubber Gaskets like Push On Joint (Tyton), ‘O’ Rings for C.I.D. Joints & RCC Spun Pipes, M/J Gaskets, Flat Gaskets for Flanged Joints and various other custom made Rubber Gaskets. All Rubber Gaskets will bear ISI Certification Mark and conform to IS: 5382/1985 in Quality. We also possess WRAS Certificate and therefore you are assured that our Rubber Gaskets will never contaminate the flowing drinking water when coming when it comes in contact with them. We also manufacture Glass Separators, Rubber Inserts, Square Gaskets, Rubber Bushes, Rubber Cords, Oil Seals, Anti Vibration Rubber Pads etc. F.C. 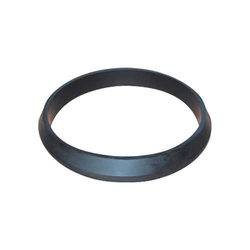 Gaskets are designed for Jiffy Collar Coupling and made out of NR, SBR, EPDM Polymers. Flat Rubber Gaskets (of 3/6mm duel thickness) are designed to make Flanged Joints and are made out of NR, SBR, EPDM Polymers. Modified J – II Gaskets are designed for Jiffy II M/J Fittings and are made out of EPDM Polymer. This Gasket used in pipe-fittings industries. Rubber Gaskets for Push on Joint (Tyton Gasket) are made out of NR, SBR, EPDM Polymer and are suitable for jointing Tyton Joint C.I. / D.I. Pipes. Sandhya Enterprises is a Manufacturer and Supplier of DI pipe Gasket. 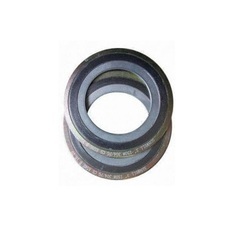 As per IS : 5382 Type 2 and Type 5, Hardness 50 and 80 Shore A, Tensile 11MPa and 9Mpa and Elongation at Break 400% and 125%. These Pipe Rubber Gaskets have been specially designed and manufactured to meet all types of pipes. Available in different dimensions, our range is acknowledged for its durability, abrasion resistance and high elasticity. These Pipe Rubber Gaskets can be available in EPDM. Sandhya Enterprises is a Manufacturer and Supplier of Ring Fit Gasket For PVC Pipe. 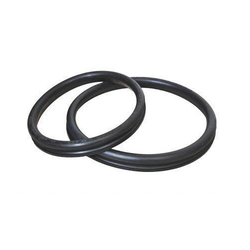 Sanndhya Enterprises Manufacturer and Supplier of Rubber Coupling Gasket as per customer requiremnet. Sandhya Enterprises manufacturer and Supplier of DI Pipe Gaskets. size:80mm to 1000mm as per IS Specification Hardness 50 for Type 2 and 80 for Type 5, Tensile Strength 11MPa for Type 2 and 9MPa for Type 5, Elongation and Break 400% for Type 2 and 125% for Type 5, for more details pl contact to Mr Mithilesh Chaudhary 9652998932, email: sandhyaprises@gamil.com, wesbsite: sandhyafelx.com, delivery immediate Payment Terms 100% advance . Sandhya Enterprises Manufacturer and Supplear of Double Wall Corrugated Rubber Gasket. Sandhya Enterprises manufacturer and Supplier of Ductile Iron Pipe EPDM Gasket. Sandhy Enterprises is a Manufacture and Supplier of EPDM Rubber Gasket. Sandhya Enterprises Manufacturer, Dealing and Supplier of EPDM Tyton Gasket With Fitting. Sandhya Enterprises Manufacturer and Supplier of GRP Pipe Gasket. size:80mm to 1000mm, Color Black, Polymers EPDM Rubber , Hardness 50Shore A for Type 2 and 80 Shore A for type 5, Tensile Strength 11.0MPa for Type 2 and 9.0MPa for Type 5, Elongation at Break 400% for type 2 and 125% for Type 5, for more information pl contact ot Mr Mithilesh Chaudahry 9652998932, email. sandhyaprises@gmail.com.website:www.sandhyaflex.com, Ready Stock, Delivery immediate payment terms 100% advace with Purchase Order. Sandhya Enterprises manufacturer and Suppleir of Hume Pipe EPDM Gasket. Sandhya Enterprises manfacturer and Supplier of DI and CI EPDM Gasket. 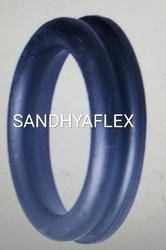 Sandhya Enterprises Manufacturer and Suppliar of Rubber Gasket for RCC Pipe as per Cutomer requirement. 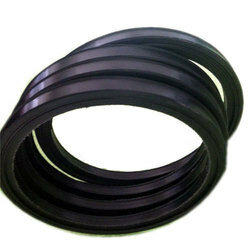 We are a prominent company offers Rubber Taper Gasket. SWG Rubber Gasket is used for sewerage purpose in domestic and industrial area in municipal region, It is a low pressure pipeline where Industrial waste water, rain water, domestic waste water and public discharge water is drained out. Sandhya Enterprises manufacturer and Supplier of DI Pipe Gasket size:80mm to 100mm,Hardness 50 for type 2 and 80 for Type 5, Tensile Strenght 11.0Mpa type 2 and , 9MPa for Type 5, Elongation at Break 400% for Type 2 and 125% for Type 5, form more details pl contact to Mr Mithilesh Chaudhary 9652998932, email:sandhyaprises@gmail.com,website:www.sandhyaflex.com, Delivery within 7 to 15 days. Payment 100% with Purchase Order. 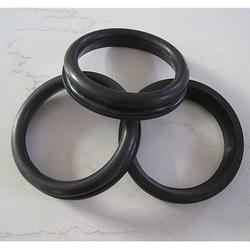 We are Manufacturer of Quality Rubber Gaskets like Push On Joint (Tyton), 'O' Rings for C.I.D. Joints & RCC Spun Pipes, M/J Gaskets, Flat Gaskets for Flanged Joints and various other custom made All Rubber Gaskets will bear ISI Certification Mark and conform to IS: 5382/1985 in Quality. We also possess WRAS Certificate and therefore you are assured that our Rubber Gaskets will never contaminate the flowing drinking water when coming when it comes in contact with them. 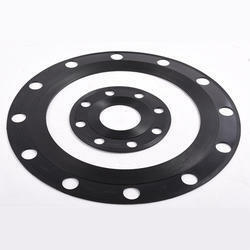 Sandhya Enterprises Manufacturer and Supplier of Rubber Flange Gasket as per ASA 150#, PN10 and PN 16. Sanhya Enterprises Maufacturer ans Supplier of Coupling Gasket. Sandhya Enterpriese manufacturer and Supplier of RCC Pipe Gasket. Sandhya Enterprises manufacturer and suppluer of DI Pipe Gasket. Sandhya Enterprises manufacturer and Supplier of EPDM DI Pipe Gasket. Offering you a complete choice of products which include RCC Pipes, Hume Pipes, Cement Pipes, RCC Pipes Socket & Spigot Type, RCC Non Pressure Pipes and Spun Pipes. As a quality focused firm, we are engaged in offering a high quality range of RCC Pipes. 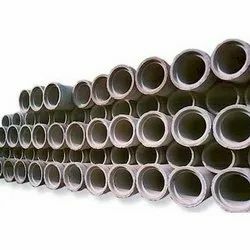 We are a well-renowned organization in the industry to provide our patrons the best quality array of Precast RCC Pipes. Being a leading enterprise of this industry, we are offering a huge range of Cement Pipe. Owing to the efforts of our dedicated team of professionals, we have been constantly engaged in offering the best quality Spigot Cement Pipe. We, Sandhya Enterprises Manufacturer and Supply of REKA GRP EPDM GASKET. We are Sandhya Enterprises Manufacturer and Supply of SWR Gasket. Looking for DI and CI Pipe Gasket ?